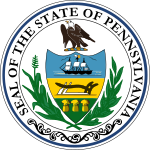 The 1962 United States Senate election in Pennsylvania was held on November 6, 1962. Incumbent Democratic U.S. Senator Joseph S. Clark, Jr. successfully sought re-election to another term, defeating Republican nominee James E. Van Zandt. A Democratic U.S. Senator would not be re-elected in Pennsylvania again until 2012. As of 2019, this is the last time a Democrat was elected to the Class 3 Senate Seat from Pennsylvania, although Arlen Specter, who was elected to the seat as a Republican in 1980, would switch to the Democratic Party in 2009 before being defeated for renomination in 2010. The 1962 Senate race took place alongside a gubernatorial race that garnered most of the media's attention. Van Zandt criticized Clark for being an idealistic liberal and stressed an anti-communist platform. He also attacked Clark for Clark's support of the Kennedy administration's foreign policy towards both China and Cuba. In return, Clark portrayed Van Zandt as a proponent of McCarthyism who would be "trigger happy" as a Senator. In the end, Clark was re-elected to the United States Senate, winning his second term. He beat Van Zandt in the nine-county area of Southwestern Pennsylvania surrounding Pittsburgh by nearly 200,000 votes, but lost Central Pennsylvania and the Philadelphia suburbs to Van Zandt. Clark increased his margin of victory in the Southwest from 1956, and his 108,000 vote margin in Allegheny County was an important factor in his victory. ^ a b Kennedy, John J. (2014). Pennsylvania Elections. University Press of America. pp. 45–46. Retrieved 11 January 2017. ^ "Statistics of the Congressional Election of November 6, 1962" (PDF). Office of the Clerk of the U.S. House. Retrieved 8 July 2014. This page was last edited on 14 April 2019, at 03:34 (UTC).